The Donut Scene was suggested to me by the esteemed and effervescent Liz Martin – a local super food focused person and event maker. Ohio Donut Trail research is being bolstered by some family trips to Northeast and Southwest Ohio this summer. This is good news for some of you that like a good donut and bad news for the Dining Duder (aka ChairmanL) who detests words wasted on donuts. The Donut Scene is a bit nondescript, buried in the exact middle of a small retail strip off Pearl Road. This is a 24 hour operation, which makes it a popular donut destination for 2nd shift workers and late night revelers. The place opened in 1983 but looks much older. The decor is classic donut shop – simple counters, stools and because this is Ohio, a big American Flag draped on a wall. My teen-aged counter person was friendly and upbeat. I tried a wide range of donuts in order to be comprehensive. This was my first donut research mission without my beloved porchhound CMH Tobias but this was the first joint team assessment (reluctantly) with CMH Spouse and (with great enthusiasm) CMH Griffin. My wife’s go to donut is generally a blueberry cake with maple glazed a close second. Both of these were sampled and she found them to be satisfactory but unexciting. She thought the maple had a slight pumpkin flavor to it. CMH Griffin, sampled a small piece of a cake donut with sprinkles and a small piece of a cherry donut. These were consumed with significant gusto. Over the course of the next 24 hours, CMH Griffin consumed about 1.5 donuts. Considering we have been experimenting with a no gluten diet and low processed sugar diet for him, this was a poor decision on my part. CMH Spouse was quick to point this out with her trademark sarcastic disdain. This was warranted because CMH Griffin was wound up for the rest of the evening so neither of us slept more than a few hours. The Donut Scene has a large variety of cakes, cookies, apple fritters and such as well. I did not notice this until I left, but in reviewing my photos (see below) I spied a food item I have not encountered before: Kilatchy. Had I seen this at the time I would have ordered one. I think it may be a very interpretive spelling of Kolache. If you go to the Donut Scene, please find out for me and post here to let me know the story. My favorite donut was a chocolate glazed French Cruller. Before I started down the strange, long and sugary path of the Ohio Donut Trail, the cruller was my favorite donut style but it lost some of is hold over me since they are harder to find in Columbus and rarely very good. This cruller was the best I recall having in this decade. I asked about customer favorites and was told that Devils Food and Sour Cream were the top-selling donuts. If I had looked before asking I would have noticed the rack/trays for both were three times bigger than their peers. All in all, the Donut Scene is worthy of the Ohio Donut Trail. Family Gourmand has been kicked in the nuts for the bulk of 2018 with one calamity, illness, etc., after another. So there has been little time for writing and even less for donut exploration. This post is the result of pure “serendonutipity”. I never had R & M Bakery on my radar but while doing a brewery run in Newark, I happened to notice the sign for the bakery. Then I spied a donut display case I could see through the window while I was waiting for a stop light to change. Although I was very pressed for time, I decided to pop in for a look. From outside appearances, I thought the place had a lot of potential. The building looks to be at least 100 years old. The nearly non existent parking lot is made of turn of the 20th century brick street pavers. I nearly did not see the business signage because it is old and faded. Walking into the shop, I had pretty low expectations. Interior design and decor is definitely not a priority of the owners but that is neither a pro nor con on the donut trail but did help to lower my low expectations It was late on a Friday afternoon and no self respecting bakery should have much stock at this time of day. R&M delivered on that unwritten law of bakeries, the shelves were nearly bare. Donut Trail criteria is based on dough alone. I typically judge a potential Ohio Donut Trail spot the merit of their cake donuts (because those are the best) but all I had to choose from were a few yeast donuts, long johns and a few specialty items. While chatting up the young fella at the counter, I discovered that the bakery is very well-known for the quality of their cakes and cut-out cookies. None of those were available to sample and to be true to form, this is the donut trail so that is not relevant but still noteworthy. However, I should mention that I did try one Oreo ball and it was beyond divine. It was a small dense and moist ball of chocolate cake with a touch of Oreo flavor to it that was encased in dark chocolate. Really good. Best Oreo Ball ever. Small in size but big it flavor. It will not disappoint. (Written in Trumpian style for no reason). Moving along to the donuts, although what I tried were items that would typically be on the second tier of my donut consumption pyramid, each variety I tried was exceptional for the category it represented. I tried a vanilla glazed yeast donut. The icing was flavorful and the donut tasted crazy fresh for a Friday afternoon. I tried a maple long john. The icing was lightly glazed on to the top of this tube-shaped treat but tasted true to the maple traditions of most Ohio donut shops. I sampled a vanilla cream as well and was impressed with the light fluffiness of the icing as well as the flavor. I also tried a baked good I had not encountered before which is called a Chop Suey Roll. I picked it because it was the last of its kind left in the display case. The base of this treat is a cinnamon roll style dough that looks to be cut in thick noodle or French fry form that is then mashed together and covered with a thick layer of vanilla icing. This was very good so I saved a few bites for CMH Griffin Gourmand to munch on one hour later when I picked him up from daycare. He gave it two thumbs up. My boy is no slouch when it comes to donuts so I hope you can appreciate his opinion although he is still under three years old. I also tried an apple fritter, a staple of any Ohio Bakery. The fritters here are leaner that the typical fat and sassy fritter found in these parts but it did not fail for flavor. There was a very good sugary glaze coating throughout the exterior and the interior housed several fresh apple bits. I was impressed. For an unplanned exploratory mission, I tried enough to want to visit again. If you go, I advise you to look for off street parking nearby. The bakery is at a pretty busy intersection. The brick parking lot is short and narrow, it might fit two cars if the drivers are considerate of each other and not in a rush to get in or out. Doing a bit of sleuthing, the bakery has been around at least thirty years with a largely supportive local following minus a few Facebook rants back and forth in the past. The correct phone number seems be: (740) 345-3615. There is one objective truth on the Ohio Donut Trail, just when you think you have everything covered (south of 70) a new spot appears unexpectedly. This one was scouted via social media. A key observation by the social media poster – a 24 hour donut shop!, caught my eye. As did the location, Londonderry, Ohio. I have traveled nearly all of Ohio but it turns out Londonderry is on a section of S.R. 50 I had never traversed. Doing some research, this spot is about 15 minutes east (ish) of Chillicothe. Doing more research, it seems than Londonderry is only about 50 minutes from Athens, which of course means O’Betty’s so in my odd travel logic – how about a day devoted to donuts and hot dogs. This oddly shaped travel triangle makes for a spiffy afternoon drive. It turned out to be a pretty good day for donuting to boot. Regular devotees to the Ohio Donut trail (not to be confused with another Ohio Donut trail which is newer and just covers a small portion of the state and might be construed as an upstart donut trail) will be pleased to know that Family Donut shop is easily in the top 6 best Ohio Donuteries encountered to date. I knew pulling into the lot that I would love the place. It looked wholesome. The counter staff were friendly and the offerings were extensive. In addition to donuts (mostly of the cake variety but fritters, Long John’s and fancy donuts too) the place serves good coffee, hot dogs, a smoked sausage sandwich, ice cream, milkshakes and a few other things. There is a counter with a few stools and a scattering of tables as well as a 24 hour drive through window. This ensures that if one needs to rest from the drive there are ample options for sustenance and support. Additional trips will be made to Family Donut Shop to continue this important research. On the way to Athens I discovered McArthur Ohio which also warrants more investigation so the two Route 50 towns may be linked together in a future post. Stay tuned for the continuing adventures on the original and best Ohio Donut Tail. Welcome back to the Ohio Donut Trail, the ongoing mission to find the finest fried dough in Ohio. During this phase of the intensive research process these are the donuteries at the top of the leaderboard: DK Diner, Auddino’s, and Bill’s. The donut tasting team took a trip south to dig into the donut heritage of Ohio’s other half, south of I-70. One third of our three stop tour took us to Chillicothe. 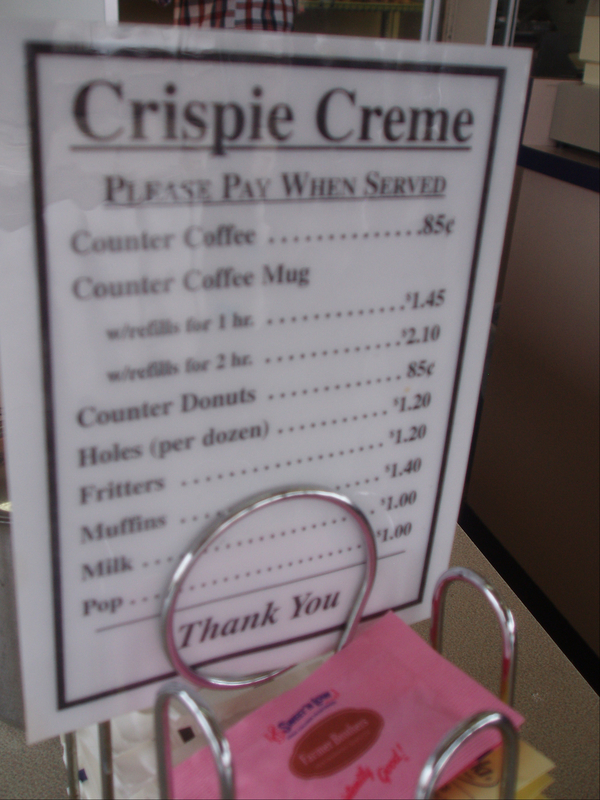 Our destination was Crispie Creme. Not that Krispy Kreme, it is this Crispie Creme. KK has served donuts since 1937. 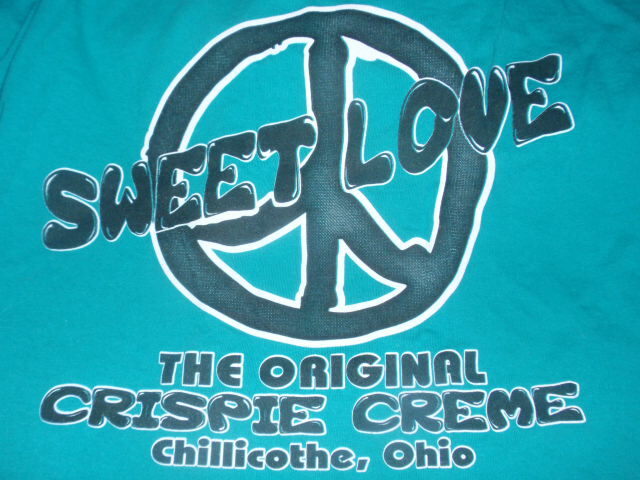 Chillicothe’s own Crispie Creme has crafted dough since 1929. 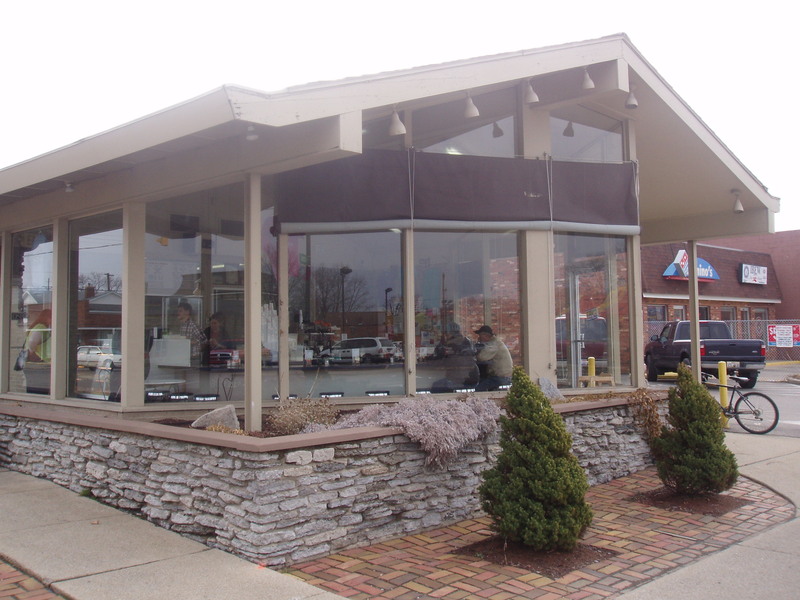 This shop serves as a community meeting point and landmark in Chillicothe. The counter is well-worn from elbow scuffs by generations of donut eaters killing time on a stool catching up with neighbors while watching the donut construction process in the kitchen directly behind the service area. 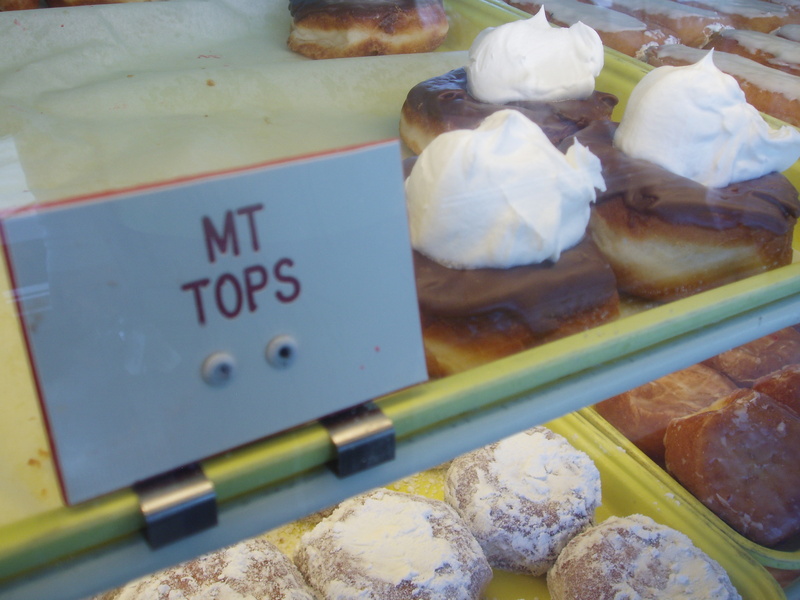 All donut styles are represented on the menu as well as some less common variants including Mountain Tops (chocolate frosted doughnuts with a large dollop of creamy icing on top), maplenut bismarks, fudgies and lots of jelly filled and topped treats. During our visit, we saw four generations of Crispie Creme fans come in together to pick out a box for their clan. The son of the entourage was about five years old. He was given the honor of carrying the box out the door to the pick up truck with the warning “boy, if you drop that box you better run as fast as you can”. At the same time, I had a box in my hands too, so I could feel the responsibility and the fear of crispie creme custody. Neither of us dropped our boxes. I also considered running as fast as I could but since I was not driving I opted to share. There are some interesting mysteries about Crispie Creme. First what is the Original Recipe they tout on the sign? Alas, I did not think to ask until we were twenty miles away on State Route 35 heading to Bill’s in Centerville. Another mystery involves their merchandising. In an area that would safely be labeled conservative, in a place serving a traditional product as scared as apple pie, hots dogs and Chevrolet, how it that all of their shirts and such are tie-dyed or brightly colored and infused with peace symbols? Could hippies have taken over at some point in the 1960’s with their Sweet Love? This dichotomy works because I made a rare impulse clothing purchase to prove this marketing approach really happened and really worked in small town USA. The donut tasting team tried the donuts and we found them to be good. What we liked more was the character and spirit of this place. 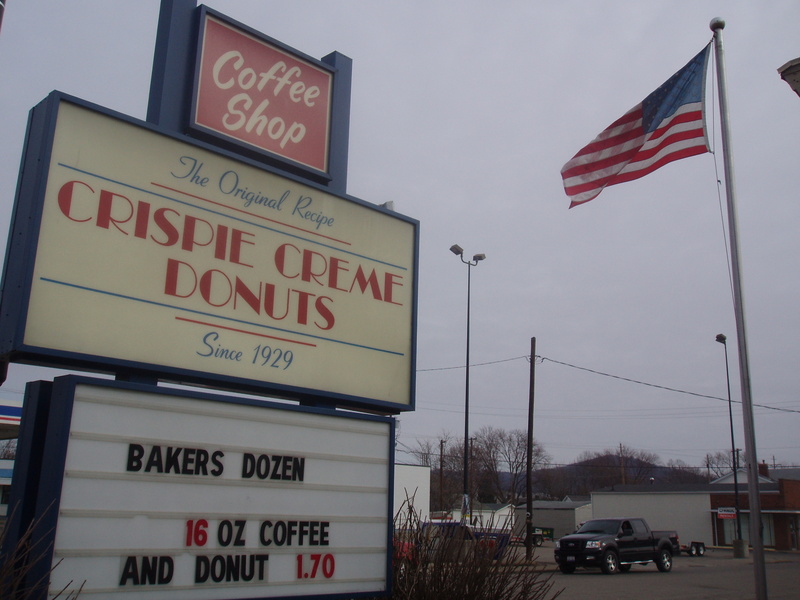 There is a lot of history at Crispie Creme and a lot of donuts to sample while you soak in the ambiance of Chillicothe. Disclaimer and foreshadowing: I anticipate that someone will ask about New System Bakery. I wanted to go but New System is not open weekends and not open late in the day so the Ohio Donut Tour will have to wait for a while on this one. I don’t know what new system New System uses but I can assure you Crispie Creme uses the old system and they use it well.